FAIRFIELD -- Seventeen trees decorated for Christmas will be on display starting Monday at the Maine Academy of Natural Sciences at Good-Will Hinckley. 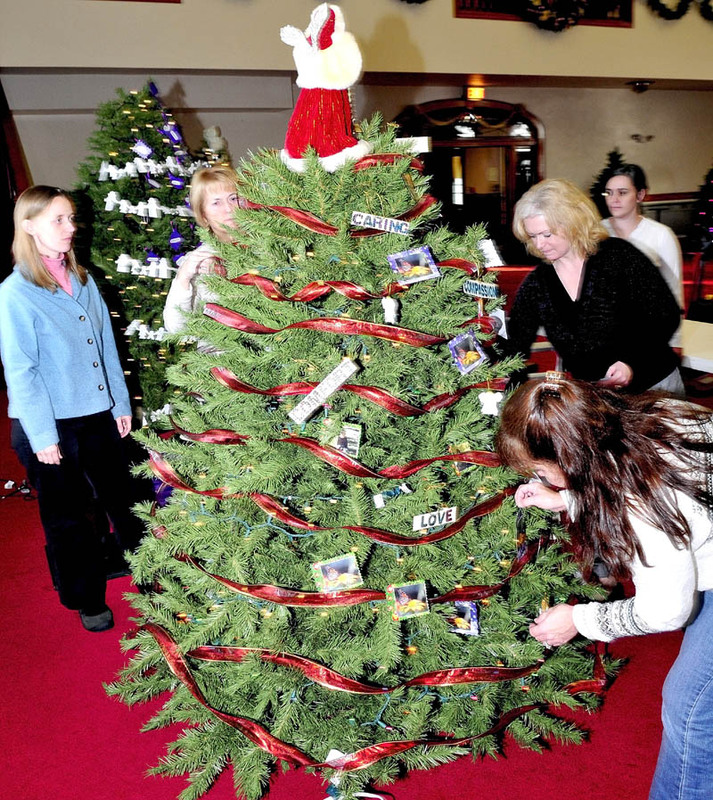 FAIRFIELD — Seventeen trees decorated for Christmas are on display starting Monday at the Maine Academy of Natural Sciences at Good-Will Hinckley. The 20th annual Festival of Trees is open 9 a.m. to 4 p.m. at Prescott Hall through Friday. While admission is free, donations are accepted at the door to help cover the costs of the Campus Living Program and the academy’s individualized high school program, according to a news release issued by the school. The trees are decorated not only by students, but also by area businesses and organizations who have chosen unique themes and styles for their displays. The festival also includes raffle prizes, a scavenger hunt and children’s letters to Santa Claus. Santa will be visiting on Tuesday from 10 a.m. until 1 p.m. and on Wednesday from noon until 4 p.m. The Kennebec Valley Chordsmen and Clogging Commotion will perform at 7 p.m. and 7:30 p.m., respectively, on Wednesday. The live entertainment is free and open to the public. The Festival of Trees was made possible by donations from SAPPI, Pine State Trading Co. and Central Maine Motors Auto Group, as well as several local donors who contributed raffle prizes and sponsored trees. The academy opened in 2011 under its parent organization, Good-Will Hinckley, which was founded in 1889 by George Walter Hinckley, according to the release. It is an alternative high school that focuses on sustainable agriculture and forestry using a hands-on, practical approach to education. In June this year it was the first school in Maine to be awarded charter-school status. The academy partners with Kennebec Valley Community College so students may take college courses, do internships and take part in campus projects. The Hinckley campus is on U.S. Route 201, six miles north of downtown Fairfield. More information on the festival is available at www.means-gwh.org.